CEO’s Agree: Marketers don’t show Marketing ROI. How to regain trust? 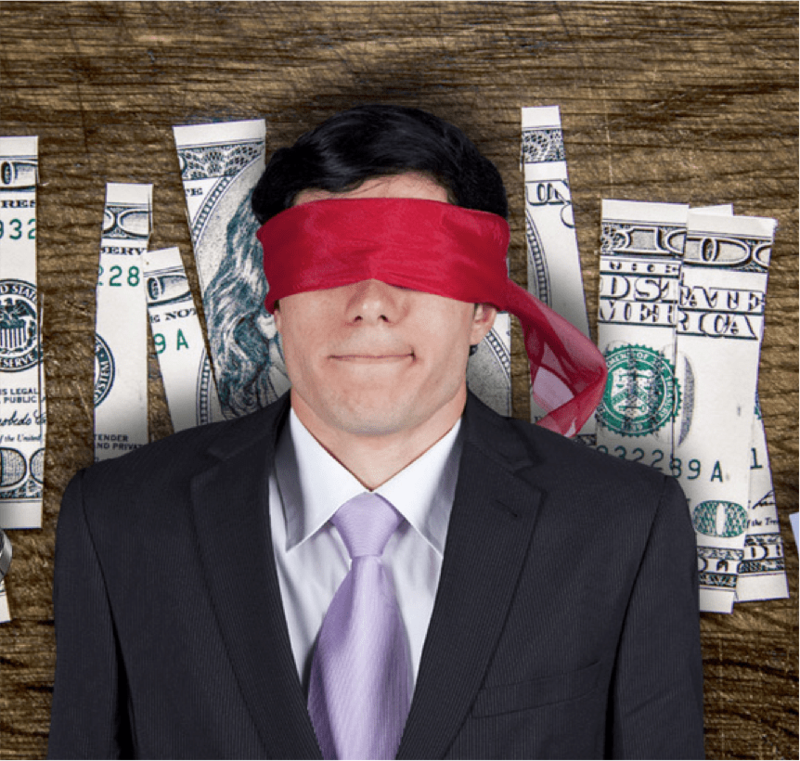 Are we blind for our own Marketing ROI? Showing Marketing ROI and the ability to contribute to the growth of the business is in many ways the biggest challenge of every marketer. Every so often reports show that B2B marketers have problems showing Marketing ROI. And then marketers have to do ‘more with less’. Why do we have problems in showing our Marketing ROI? What can we do to regain trust from our CEO? Every now and then you’ll see a report popping up that CEO’s think that marketers cannot show Marketing ROI or confirm its business relevancy. The latest one that I could find was published in MarketingWeek (70% of CEO’s have lost trust in marketers). CEOs have to deliver shareholder value. Period. So they want no-nonsense ROI Marketers. They want business performance. They want results. But what do we marketers do? We keep on doing the same old trick, we keep advertising and pushing money into campaigns. Because these ads and campaigns make us feel good. And some CEO’s are very proud of seeing their company in the leading glossy trade-magazine. But in the end, when push comes to shove, you won’t make it to the board level. And budgets are cut. A few months ago I made a presentation to a crowd of about 300 people. It announced a change program to move from classic marketing to digital, social and content marketing. On one of the slides, I commented that all of us are confronted with 2000 to 3000 advertisements per day for brands. Ranging from billboards on the street, to the Coca-Cola label on a bottle, to the advertisements in your favorite magazine. From the 300 people, I got 3 hands raised in the air. Are we not learning? No, we are not. Talk to every marketer about this issue. The will all tell you that it’s crucial to show Marketing ROI. And if you think this is only about on-line advertising, well, it is. Print advertising is decreasing in favor of on-line advertising, just ask Google and the’ll confirm that with a big smile. Where’s the Marketing ROI in that ? Using advertising with limited marketing ROI is just a part. There’s the use of callcentres, paper mailings, old school tradeshow participation and much more. I’ll tell you, I am guilty as hell. I used to be a marketer spending money on advertising, tradeshows and campaigns. 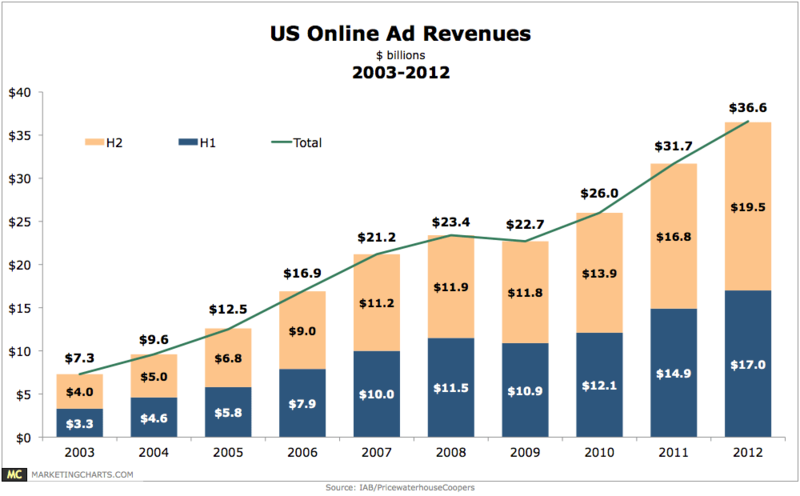 start rebalancing advertising money towards digital content creation. And track its performance to convert buyers along the buying cycle. I don’t know much about this stuff, I guess. I just looked at the data. If I would understand it, then I would know why so many marketers keep on spending money on advertising and campaigns. If you understand why, help me. If you know why, tell me. If you see good reasons to keep doing this, tell me. So we can prove our CEO’s they are wrong. After reading your article, the first explanation that came to my mind is the following: in most companies finance is busy with the past (how did we perform last year), sales with the present and marketing (should be) busy with the future. The result of this is, that marketing objectives are merely long-term objectives. But as we all know, short-term thinking has replaced the long term. This – for me – is the main reason why I found it so hard in my career until now, to prove effectiveness of what marketeers do. Secondly, we should not mix marketing communications with strategic marketing. The first is focused on communicating with our present and future customer. The way our customers want us to communicate is changing rapidly. As you pointed out the consequence is a dramatic return on most campaigns, be it online and offline. But if we look at the second responsibility, we see great things happening which are very measurable. Just think for example of the Bpost turnaround or the emergence of ready-made dishes by Hot Cuisine/Univeg. In both companies, marketeers convinced their management of a changing consumer behavior, which resulted in new product & service solutions. I am quite convinced that marketeers came up with graphs of these evolving behaviors and needs. So, what to do about the first problem of marketing campaigns not delivering and showing ROI? First of all, in the internet business I am working in, I see that campaigns can be effective (e.g. the DreamBaby repositioning as independent Colruyt brand). BUT, campaigns should become more relevant for our consumers. And this I guess, is where a lot of marketeers are missing out nowadays. I would like to recommend the book by Bob Galbraith on ‘The next step in Marketing’. I use it every day to check wether my ideas are relevant or not to our customers. And believe me, relevant communication & solutions are very measurable and will quickly show results. And (sales results) will finally convince a CEO where the opportunities are. Good luck in finding the relevance for your customers. woauw, Wim, I am honored by such and extensive response. I guess I am indeed mixing strategic marketing with marketing communication strategy. Thank you for pointing that out. Advertising is a tactic used in a marketing strategy. And multiple tactics are applied to execute a marketing strategy. You had success with Dreambaby, which seems B2C to me. Where I come from is B2B, and that might be different. But your general remark is that advertising must become more relevant for our customers. And that’s the key, which is turned by marketing strategy. You mentioned that you had similar problems in your career, “until now”. What has changed that you now understand it ? The book from Bob Galbraith ? Thanks for your comment, appreciate it. That really adds to this blog post. I do believe marketers are slowly shifting budgets towards content. It’s slow in part because they don’t want to up-end the apple cart, and it will continue to be slow, particularly for larger marketers that have refined their advertising. I think one of the challenges to watch out for is the tendency of digital marketers to claim a portion of everything they touch, but just because marketing touched it (ie a prospect downloaded a paper) doesn’t mean marketing changed they outcome. For us to really show that marketing is driving ROI, we need to start showing that marketing is changing the outcome, not just that it is part of the process. And that is, in many ways, an even more challenging nut to crack. Good questions, that’s the only $0.02 in reply I have for you yet. Looking forward to hearing more about how your transition goes. Thanks Eric. “Showing that marketing is changing the outcome” was something that I also had on my radar. A great way of doing that is by selecting one single strategic subject that is entirely new (and that can be related to your business strategy), start your marketing around that subject, and start tracking the results. That’s all top of funnel activity, but when you are able to track from top to bottom (with marketing automation for example), you can track it right down to your CRM and ERP system. Thanks for the comment Eric, it adds. Really appreciate it.